(CBS/AP) LOS ANGELES - Under grilling by the prosecutor, the defense's expert anesthesiologist acknowledged Monday that Michael Jackson's doctor deviated from the standard of care. 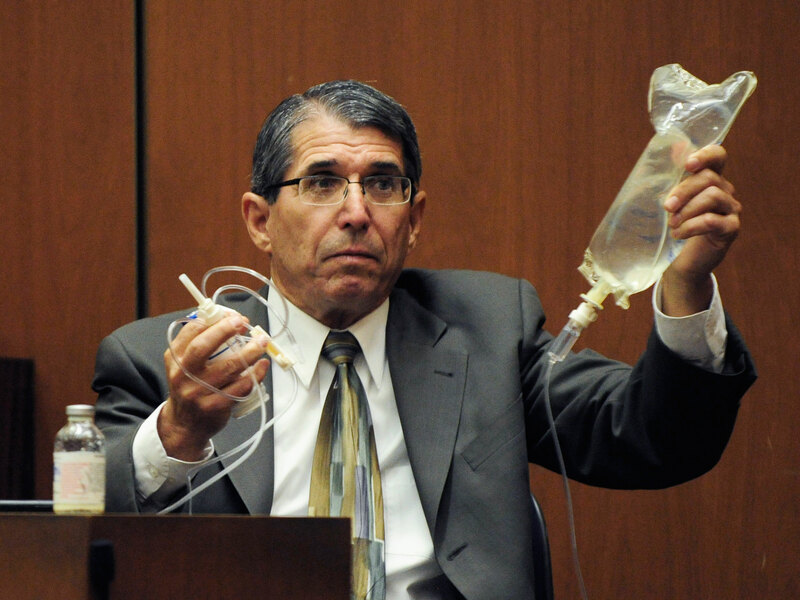 Dr. Paul White was repeatedly questioned during cross-examination about the ways in which Dr. Conrad Murray had broken guidelines and rules in his treatment of Jackson. White acknowledged that the type of pulse monitor that Murray was using on Jackson's finger was inadequate to properly monitor the singer when the physician left the room. Murray, who has pleaded not guilty to involuntary manslaughter, has acknowledged he was giving Jackson doses of the anesthetic propofol in the singer's bedroom as a sleep aid. He told police that he left Jackson's room for two minutes on June 25, 2009, and returned to find the pop superstar unresponsive. White also said he would not leave the room if he were treating a patient who had indicated he liked to inject propofol into himself, as Murray claims that Jackson had told him. Deputy District Attorney David Walgren questioned White, a retired professor and clinical researcher, about the circumstances of Murray's care based on his interview with police two days after Jackson's death. White told jurors last week that he believes all the evidence in the case shows that Jackson must have self-administered propofol when Murray left the room. Walgren and White noted the unique circumstances of the case. "Have you ever administered propofol in someone's bedroom," Walgren asked. "No I have not," White replied. "Have you ever heard of someone doing that prior to this case," the prosecutor asked. "No I have not," White responded. Later, White said Murray's treatment of Jackson was different from how propofol is supposed to be used - as an anesthetic used in hospital or clinical settings. He told jurors that he has been paid $11,000 for his work on the case so far. White and Shafer were colleagues at Stanford University and conducted research on propofol before it was approved for use in U.S. operating rooms in 1989. Both helped edit a leading anesthesia journal. Until White's retirement last year, both were practicing anesthesiologists. Shafer also said Murray committed 17 egregious violations of the standard of care and should never have been giving the singer propofol as a sleep aid. "We are in pharmacological never-never land here, something that was done to Michael Jackson and no one else in history to my knowledge," he told jurors.